I don't think I have mentioned before but I love planners, hobonichi and filofax-like stuff. Actually, I'm super paranoid about organization and creating a method to go through my to do lists and always get really stressed when I cannot do this. That's why I have a different notebook for each department of my life (illustration work, day work, leisure, studies, etc.). But notebook are blank and boring so I decorate them with colored pencils, clips and... stickers! 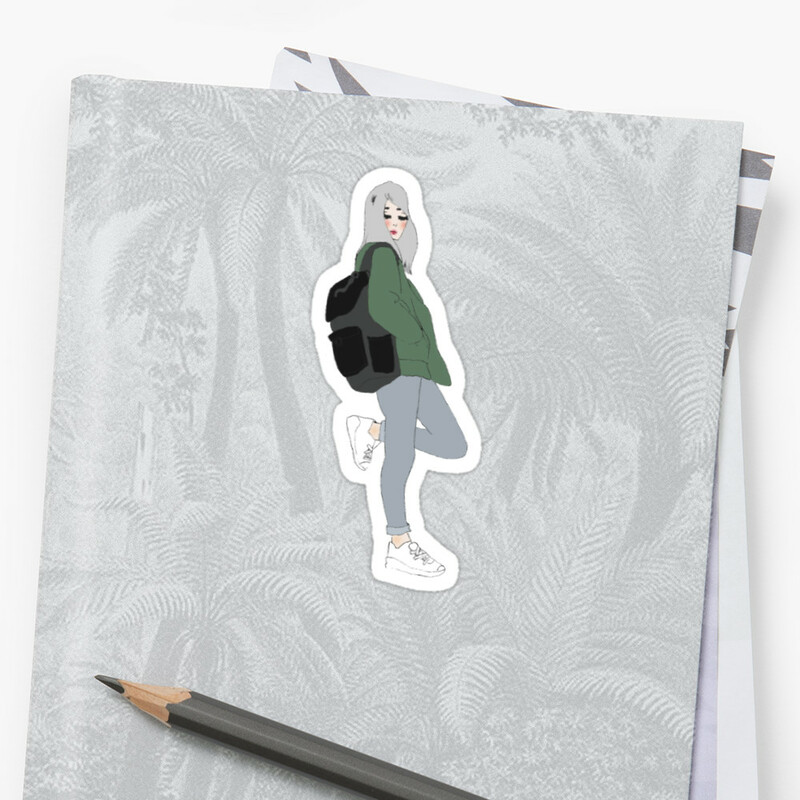 So why not to make my own stickers? They are exclusively on my Redbubble shop right here. I'm hoping to add 7 new stickers every week (one per day). Follow me on Instagram to check the novelties.